Does your cat hate going to the vet? What are you doing to make the experience less stressful for your cat, and for yourself? Did you know that even the anticipation of a vet visit can make cat owners anxious, and cats, being the sensitive creatures they are, will pick up on that anxiety. At Shuswap Veterinary Clinic you’ll find doctors and support staff who are passionate about the care of cats. 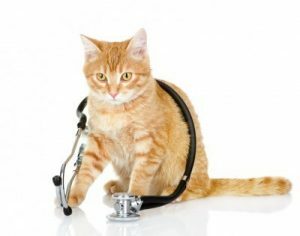 Cats are also brilliant at hiding any signs of illness and often by the time we spot the symptoms, the disease may already be in the advanced stages, which often makes treatment less effective and more costly. Here are a few links to websites that may help with additional information. You’ll find at Shuswap Veterinary Clinic, we are introducing changes in the delivery of care that incorporate a better understanding of the cat’s distinct needs and behaviors.